ANIMALS: Animals are not allowed in the ballpark, with the exception of service animals. ANNOUNCEMENTS: All birthday, anniversary or group announcements must be turned into the Guest Services Table by the bottom of the second inning. ANTHEM SINGERS: Contact the Bucks at (319) 232-0500. ATM: An ATM machine is located inside the main entrance of Cost Cutters Field at Riverfront Stadium. BEER SALES: In order to purchase beer at Cost Cutters Field at Riverfront Stadium, persons must be 21 years of age or older and have a picture I.D. as proof of age. It is illegal for anyone to purchase beer for minors and anyone found in violation will be asked to leave. The Bucks management reserves the right to refuse the sale of alcoholic beverages and may evict any person deemed intoxicated from the stadium. A wristband is required to purchase and consume alcohol at the stadium. BUDWEISER PARTY DECK: Your group will enjoy every minute they spend on the Budweiser Party Deck with its beautiful view of the ballpark and popular all you can eat and drink menus. A minimum of 30 people is required to reserve one section of the Party Deck, which is located down the right field line near the visiting team’s bullpen. To reserve the entire Budweiser Party Deck, a minimum of 125 is required. The Budweiser Party Deck can comfortably accommodate up to 200 people. The cost per person is $27.00 and includes a ticket to the game and unlimited food and beverage for three hours, starting 30 minutes before the scheduled game time. Children 5 and under are admitted free. The menu for the Budweiser Party Deck includes unlimited hamburgers*, cheeseburgers, hot dogs, bratwurst, potato chips, peanuts, soda, water and beer (Budweiser and Bud Light). All sandwiches are freshly grilled on the Deck right before your eyes. Call the Bucks’ Ticket Line at (319) 232-5633 or email the Bucks at waterloobucks@waterloobucks.com if you are interested in booking the Budweiser Party Deck for the upcoming season! Download the 2018 Waterloo Bucks Group Outing Guide here. CARRY-IN ITEMS: No cans, bottles, alcoholic beverages (botas or wine skins) or food is permitted to be brought into the game. Exceptions are baby food or snacks for young children. CONCESSIONS & BEER STANDS: The Bucks offer two full-service concession stands, one located on the third base side and the other located on the south side of the facility. Both stands serving windows’ open to the outside. Beer stands are located throughout the concourse of Cost Cutters Field at Riverfront Stadium. COORS LIGHT LOUNGE: Located just behind the Bucks’ bullpen in left field, the new Coors Light Lounge gives fans a one of a kind view from the outfield. A minimum of 15 people is required to reserve one section of the Lounge, and a minimum of 75 is required to reserve the entire Coors Light Lounge. The Lounge can comfortably accommodate up to 115 people. The cost per person is $27.00 and includes a ticket to the game and unlimited food and beverage for three hours, starting 30 minutes before the scheduled game time. Children 5 and under are admitted free. The menu for the Coors Light Lounge includes unlimited hamburgers*, cheeseburgers, hot dogs, bratwurst, potato chips, peanuts, soda, water and beer (Coors Light and Miller Lite). All sandwiches are freshly grilled in the Lounge right before your eyes. Contact the Bucks’ Ticket Line at (319) 232-5633 or email them at waterloobucks@waterloobucks.com if you are interested in booking the Coors Light Lounge for the upcoming season! Download the 2018 Waterloo Bucks Group Outing Guide here. CREDIT CARDS: Credit cards are accepted in the ticket office, the souvenir store and at all concession stands. EMAIL NEWSLETTER: The Bucks offer a free email newsletter. Fans may sign up at the Guest Services Table or on-line at www.waterloobucks.com. EMERGENCY PHONE SERVICE: Emergency phone service is available at the Guest Services Table. FAN CONDUCT: Fans who appear intoxicated, use foul or abusive language, throw objects onto the playing area, or interfere with play will be ejected from the park. When cheering for the Bucks, please use proper language. FAN MAIL: Anyone wishing to write a Bucks player may do so by sending a letter to the attention of the player to: Waterloo Bucks, P.O. Box 4124, Waterloo, IA 50704. FIELD DIMENSIONS: Foul lines – 335 feet, Center field – 375 feet. FIREARMS/WEAPONS: All firearms and weapons are prohibited from entering Cost Cutters Field at Riverfront Stadium. FIRST AID: Fans in need of medical attention should inform a policeman, Bucks front office staff member or usher immediately. GATES OPEN: Gates open 65 minutes before First Pitch unless noted. GIFT CERTIFICATES: Gift certificates are available in increments of $5.00 and may be purchased at the Souvenir Store. They can be used for tickets, souvenirs, concessions, or kids games. GROUP SALES: There is no better way to spend a night at the ballpark than with a group of friends or employees. Group rates offer a discounted admission price. For more information call (319) 232-5633. HANDICAP ACCESSIBLE SEATING: Handicap accessible seating is located at the top of the dugouts in the main grandstand. Companions accompanying disabled individuals should be given a folding chair so they can sit together. GUEST SERVICES (INFO): The Guest Services Table is located near the main entrance to the stadium. This is a catch-all area for lost and found items (including parents and children), contest entries, messages, etc. LAWN CHAIRS/STADIUM CHAIRS: Lawn chairs are not permitted at Cost Cutters Field at Riverfront Stadium. Stadium chairs are available for purchase by season ticket holders for $60 per season for new chairs; $20 per season for renewal chairs. Stadium chairs reserve the season ticket holder’s seat for the whole season. LOST & FOUND: All found items should be turned in to any Bucks employee. To claim an item, contact the Bucks office or Fan Services table. NOTICE OF RISK: Management reserves the right to revoke the license granted by every ticket. 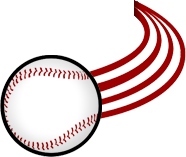 Ticket holder assumes all risks incidental to the game of baseball including, but not exclusively, injury resulting from thrown or batted balls, thrown bats or damage to property in or adjacent to the ballpark whether occurring prior to or subsequent to the game. ON-FIELD PROMOTIONS/LUCKY ADS: Fans may sign up for all on-field promotions at Guest Services, located on the concourse level near the main gate. Lucky Ad prizes may also be claimed at Guest Services. 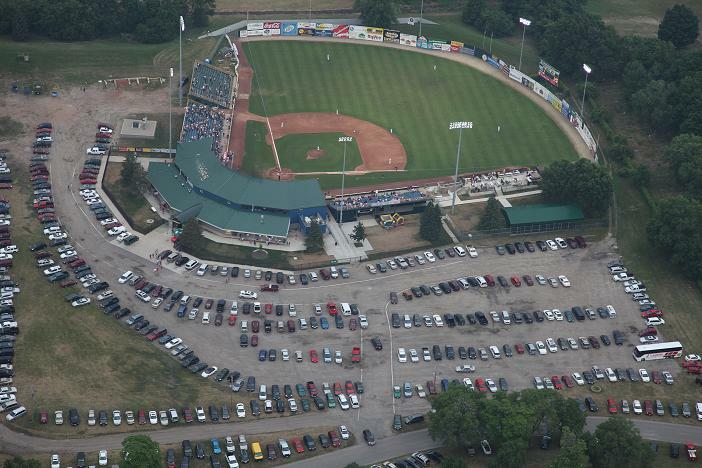 PARKING: Parking is available to all patrons free of charge in the Cost Cutters Field at Riverfront Stadium parking lot. Handicap accessible parking is available directly outside the front entrance to those fans with appropriate handicap parking permit. PLAYER AND MASCOT APPEARANCES: Appearances can be scheduled by contacting the Bucks at (319) 232-0500 during normal business hours. PRESS BOX: The press box is located on the upper level behind home plate. Only those with proper credentials will be allowed in the press box. PROGRAM: The Waterloo Bucks souvenir program is for sale at the Souvenir Shop for $3.00. The program comes with the Buckshot Roster insert which is updated daily and contains information on the team and the NWL. The Buckshot Roster insert is also available for sale for $1.00. 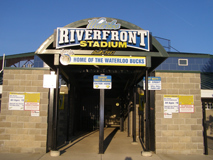 RADIO BROADCASTS: All 72 Waterloo Bucks games can be heard on-line at www.waterloobucks.com. RAIN CHECKS: If a game is postponed because of poor weather, ticket holders may exchange their ticket for one of equal value for any regular season game, subject to availability. The rain-out policy is printed on the back of the game ticket. Fans with tickets to the Budweiser Party Deck or Coors Light Lounge must see their group leader – they DO NOT get rain checks. RE-ENTRY POLICY: Fans may exit and re-enter the stadium during the game, but must receive a hand stamp before leaving. Ticket sales end at the completion of the 6th inning and admission is then free into the stadium. REST ROOMS: Men’s and Women’s restrooms are located to the left and right of the main entrance of the stadium. There is also a family restroom near the main entrance. SCHEDULES: Pocket schedules are available at the Guest Services Table, Souvenir Shop, Concession Stands, Ticket Office, and Main Office. 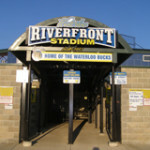 The schedule and promotions are also available at www.waterloobucks.com. SEASON TICKET HOLDER GATE: The Season Ticket holder gate is located on the first base side of the stadium, and opens 65 minutes prior to the scheduled game time. This gate is only accessible to those fans holding a season ticket or a season ticket card. SECURITY: If a situation arises that involves a physical confrontation or a repeated violation of stadium regulations, contact your supervisor or a security officer. There will be several security officers at every game. SMOKING: Smoking is not permitted inside the stadium. This policy also extends to e-cigs. A smoking area is located outside the 3rd base gate. SPEAKERS BUREAU: The Bucks are happy to provide speakers for civic groups and special events. Contact the Bucks at (319) 232-0500. SOUVENIR STORE: The Souvenir Shop is located on the south end of the stadium or directly to your right as you enter the ballpark. The store offers a wide variety of official Waterloo Bucks gear. STADIUM ADVERTISING: Customers interested in stadium advertising are encouraged to contact our sales staff at (319) 232-0500. TELEPHONES: Emergency phone service is available at the Guest Services table. TICKET INFORMATION: Advanced tickets may be purchased online at www.waterloobucks.com or can be ordered over the phone by calling the Bucks ticket line at (319) 232-5633. Tickets may also be purchased on the day of the game at the box office located outside the main gates.